The so-called software telco movement is still in its infancy and, while it may be moving slightly slower than some may have thought it would, let’s understand that implementing an entirely new philosophy toward telco infrastructure is a daunting undertaking. It’s also one that must be taken with care, so as not to upset the proverbial apple cart. That said, the world has become software-driven, so the day of reckoning for hardware-based networks will come sooner than it otherwise may have, thanks in no small part to the cloud and SaaS model that has been proliferating the enterprise market. That principle has helped the network operator community realize how a software network can benefit them as well, and we are seeing increased movement in that direction – including a clear growth in NFV-related ecosystems developing. To what extent, and how long will it take? To find out more, I chatted with Dialogic’s SVP of product management and marketing Jim Machi. This is what he had to say. Over the past few years, there have been more and more software-based network infrastructure products deployed. They are scalable, telco-hardened and cost-effective. 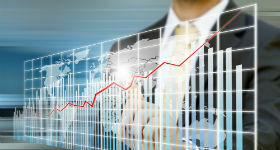 At the same time, cloud-based enterprise solutions, such as Salesforce.com, have shown powerful OPEX and CAPEX models. Simply put, the time is right for NFV adoption in telecom infrastructure. Understand the end-to-end solution. With NFV, one can obtain the “best of breed” network infrastructure element, but the carrier should look at the full solution to ensure the elements work together. NFV is about providing virtual network infrastructure. Some may view this as simply providing software-based network functionality, such as software-based media processing, or software-based packet inspection, etc. And that’s certainly a part of it. But, it’s really more than that. It’s also about providing these NFV functions in a cloud environment and in a coordinated fashion. A Virtual Network Function would be an application, or a media server. An entire NFV would be the application running on virtualized servers in a cloud environment. To me, SDN is about how all the services that NFV creates are delivered. It’s more about how the networks are controlled. A good approach would be to move when a certain network infrastructure element needs to be replaced, or a new one needs to be deployed. So, it could be one function at a time or at a solution level. Dialogic has a lot of expertise with moving from hardware-based products to software-based products. First of all, the software version won’t exactly work like the hardware version. There are various reasons why, ranging from drivers to different hardware platforms having different memory, etc. So, a minimum hardware range needs to be set as an example. Secondly, one cannot control the hardware environment the software will be deployed on. Upgrades are much easier. Plus, experimentation can be easier, so this means deploying new services can be tested much more easily. Very important. In the future, service providers will operate within their own cloud environments, or even work on Rackspace or Amazon. CAPEX and OPEX savings and flexibility. Reality will meet expectations but, likely, it will take longer than people think. The same thing happened with VoIP. We cannot underestimate the role that deployed equipment plays. Why decommission existing working equipment? No, I don’t think so. Yes, carriers are getting more comfortable deploying software-based infrastructure, and we’ve seen that with PowerMedia XMS, our software-based MRF/media server, but that is different than saying this is the year of NFV. For the “year of NFV” to happen, the ecosystem needs to be built out more. Perhaps 2016.